Enjoy the various accommodations here in our charming mountain community. Relax and get away in our high end B & B’s, cabins on the river, cozy vacation rentals, hotels/motels, cottages, farm houses, and more. Stay and play with many area attractions, including wineries, art galleries, golf courses, New River State Park, Stone Mountain State Park, and music venues. This modern cabin sits on the Appalachian mountainside, near the Blue Ridge Parkway. A relaxing, peaceful retreat. Enjoy nearby wineries, Stone Mountain, fly fishing, hiking, rafting, plus much more. The cabin has three levels: loft, main and lower, and two decks. Two bedrooms with complete baths, plus additional half bath. Sleeps 8 on 2 queen beds and 2 sofa beds. Kitchen includes garbage disposal, microwave and dishwasher. Fireplace, washer/dryer, 3 TV's with DVD/VHS players and a game system. Enjoy a variety of DVD movies, a warm fireplace and a fun family room. Enjoy your stay. No smoking, no pets. Located in Alleghany County near Sparta, NC and the Blue Ridge Parkway, the Farmhouse offers a peaceful atmosphere that equally private and beautiful. Four large bedrooms provide comfortable sleeping accommodations for eight persons (one queen and three double beds). 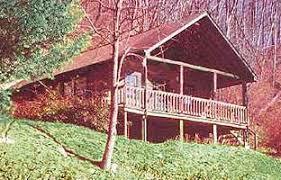 at the Blue Ridge Mountain House spans the length of the home and puts you in the heart of the beauty of the outdoors. While this contemporarily designed home has many amenities, guests find themselves drawn to soak up the expanse of Mahogany Rock, Bullhead and Green Mountains from our inviting porch. National Historic Home 2 miles from the Blue Ridge Parkway in Laurel Springs, NC. Full country breakfast served with complimentary wine & appetizers. We also carry a large amount of items to rent for your wedding or special event. Please contact us for more information on item availability and pricing. On your next vacation, enjoy this small vacation rental located on the Crazy Fox Christmas Tree Farm in the Blue Ridge Mountains of North Carolina. Surrounded by mountains, spacious decks and porches offer beautiful views of the standing hardwoods. The creek will lull you to sleep at night. Nature's beauty will renew your spirits. Freeborne's motel will reopen for the season April 1st. Make your reservations now to reserve your dates. Click above to be taken to our booking system to see what's available. 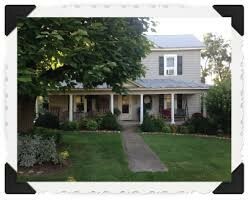 The Glade Valley Bed and Breakfast is the coziest place to stay in Alleghany County, North Carolina, located within walking distance of the Blue Ridge Parkway and less than 7 miles from Sparta, North Carolina. Nestled on 29 acres of beautiful mountainside featuring tall pines, walking trails and breathless views, the Glade Valley Bed and Breakfast is perfect for a tranquil escape. Harmony Hill Bed and Breakfast is the restored, Queen Anne style influenced home of Jim and Barbara Halsey, constructed around 1890. The main house has seven bedrooms, four of which are open to our guests, equipped with air-conditioning and private baths. Enjoy the sights and sounds of the New River from this well-appointed log cabin. Come for a long visit or a short getaway to rest, relax and enjoy the birds and wildlife of the mountains of North Carolina. Miles Realty is a division of Miles Consolidated Companies, a family business, founded in 1958. The projects of Miles Companies continue to bring residential & commercial growth to the area. Come enjoy the peace and tranquility of a mountain getaway in beautiful Laurel Springs, North Carolina. We are located at Mile Post 248 right off the majestic Blue Ridge Parkway. This pastoral wonderland near Bald Mountain can be your retreat in the Blue Ridge Mountains. Close by is the country's premier scenic byway, the Blue Ridge Parkway, with its natural and historic wonders; and the New River — reputed to be world's second oldest river.